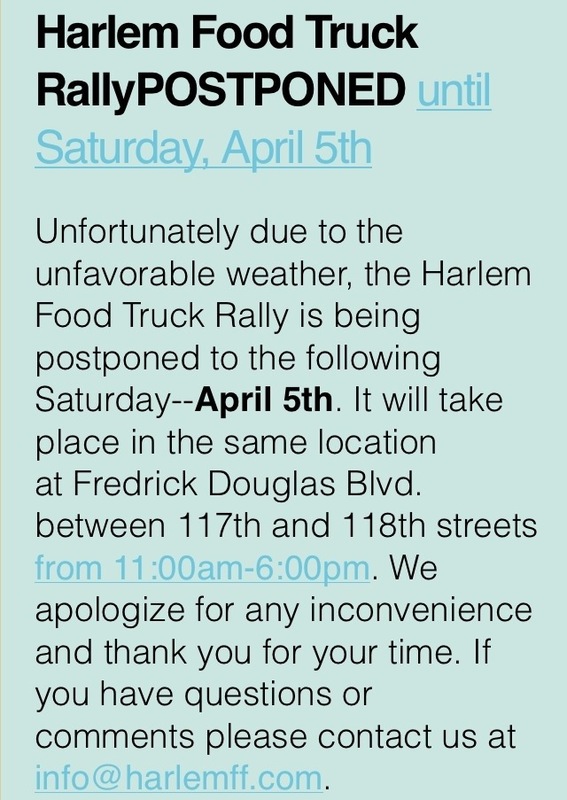 Harlem Food Truck Rally postponed…again, April 5 is next date | HarlemGal Inc.
April 5! See the note below! This entry was posted in Harlem, Harlem bloggers, Harlem blogs and tagged Harlem, harlem food truck rally. Bookmark the permalink.